Home » News » Do you want to be a Speakeasy Trustee? Do you want to be a Speakeasy Trustee? We are looking for new Trustees to support our work at Speakeasy. Anyone can apply, but we are particularly interested in hearing from people who have experience of business or the voluntary sector and live in the areas of North Hampshire that we cover. 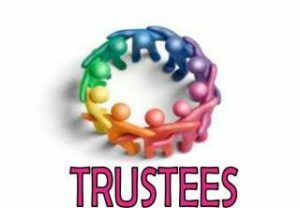 Trustees are volunteers and usually meet 4 or 5 times a year for a few hours every meeting. Although you don’t get paid for your time you can claim for your travel expenses. And of course you will get the satisfaction that comes with supporting the charity to carry on providing advocacy! We have a Trustee job description and code of conduct if you want to know more about the role. Please complete the application form if you want to apply, or contact Amanda on 01256 332795 or [email protected] for an informal discussion.